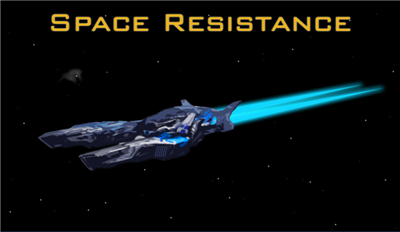 Space Resistance (24.7mb ver1.01 made by Raiper34 and Rostas 27/01/2013, no install .rar) is a nice Space Invader, Gyruss clone space shooter. Yes this has a mix of 2 different types of arcade classics and has 2 modes of play; Story mode and Survival mode plus a auto level save game feature. Don't let the screenshots fool you as it plays great and is very addictive with it's pumping music sound track and the gameplay, visuals are ok. The game continues seem to last forever in Story mode so you can complete all 50 levels if you wish. Survival mode is similar. Once the game ends just click on Load Survival. 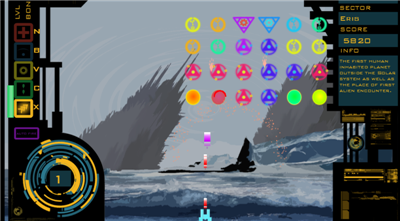 There is a couple of issues, they're not really bugs or code problems but you will find that the movement of your ship and changing directions is slower than you would expect for this type of game but there is the speed up/fast movement bonus in-game that does help slightly. There's also the constant shaking of the gameplay screen every time you blast something which is all the time really. It's like you're in a never ending earthquake. I think this was over done here with this feature. Here and there throughout the game would've been better, like the end of the boss levels. 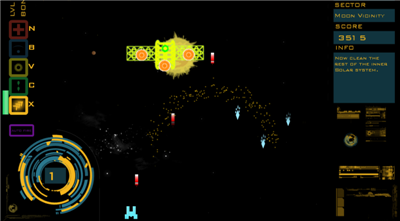 Other than those two little gripes, it's a worthy download if you're into your space shooters. Nice one. Killing enemies will charge your bonuses. If you obtain a large enough sore, some bonuses can be used repeatedly. While you're there, don't forget to check out the other 4 free games. 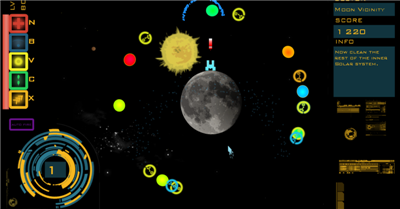 Midget Race is a freeware game download while Build a Snowman, Submarine Escape and Catch Birds Birdman are free flash games that play in your web browser.